Karen Akunowicz (left) with Joanne Chang and Christopher Myers at the Myers+Chang celebration. Mama and Papa Chang, as their daughter calls them, flew in from Dallas, and not just to see if Mama Chang’s pork dumplings were still dynamite. The couple were on hand to celebrate Myers+Chang’s 10th anniversary. 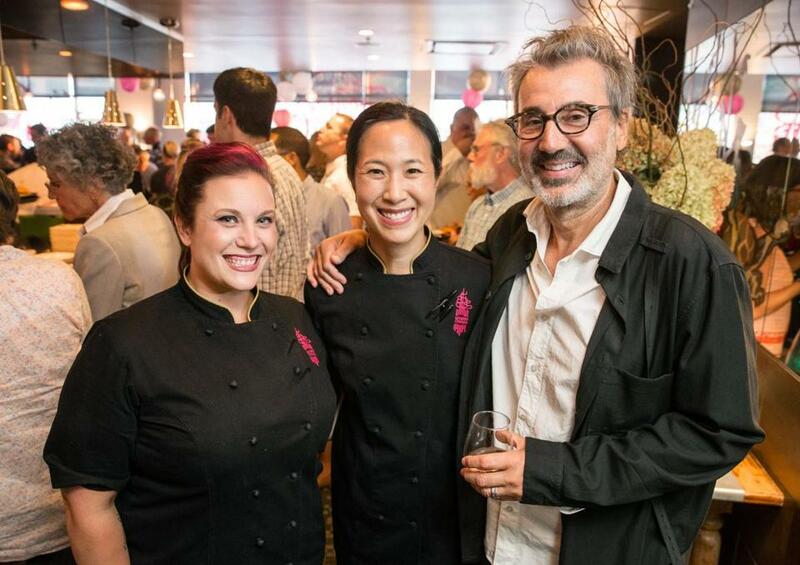 The packed party at the South End restaurant on Monday, which also launched “Myers+Chang at Home,” was hosted by Joanne Chang, Christopher Myers, and partner-executive chef Karen Akunowicz. The nibbles just kept coming: plenty of dumplings, five-spice deviled eggs, sweet potato fritters, rice noodles in Chinese takeout containers, ginger waffles with lemon chicken, and more. No one went home hungry.